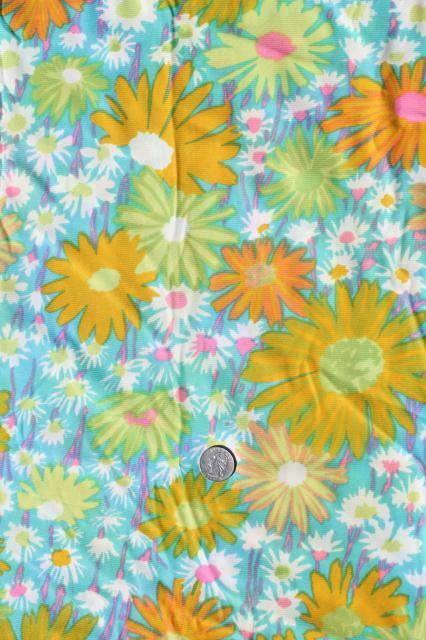 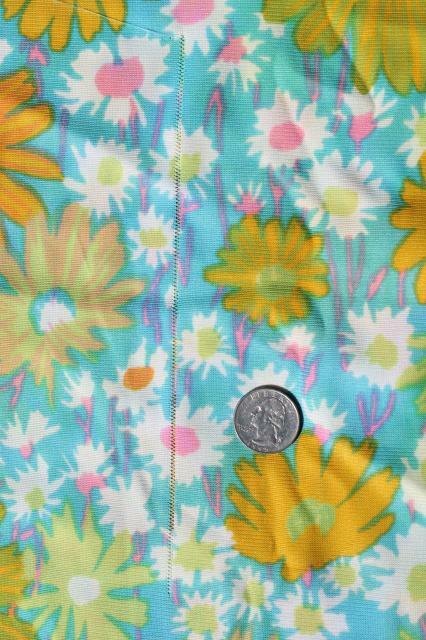 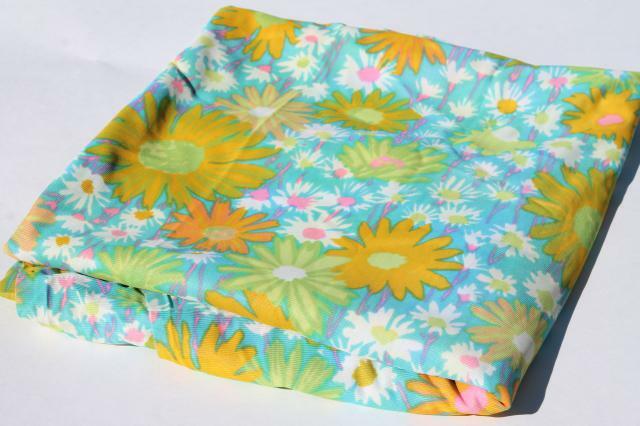 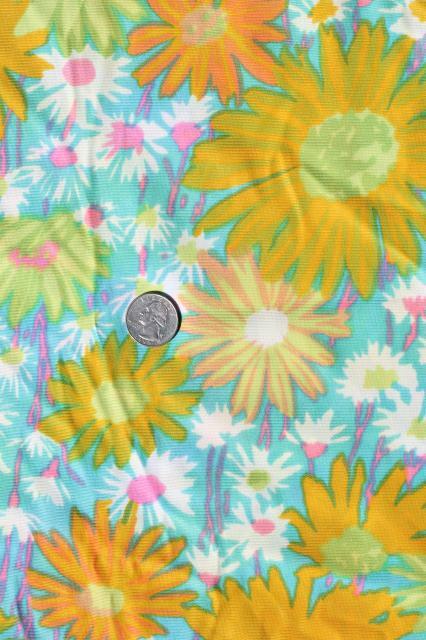 70s vintage poly tricot fabric with a splashy flashy floral - very retro! 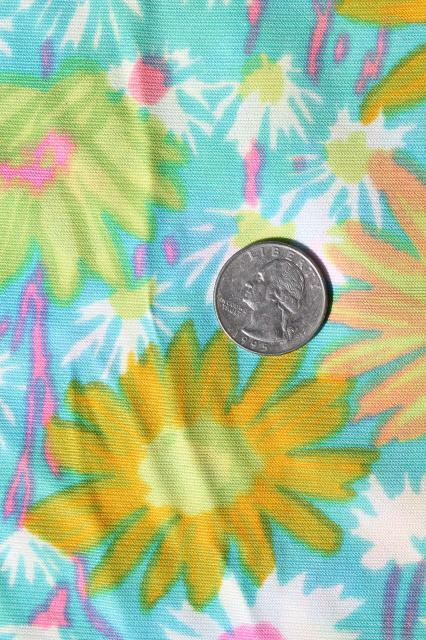 This is 48" wide x 4+ yards. 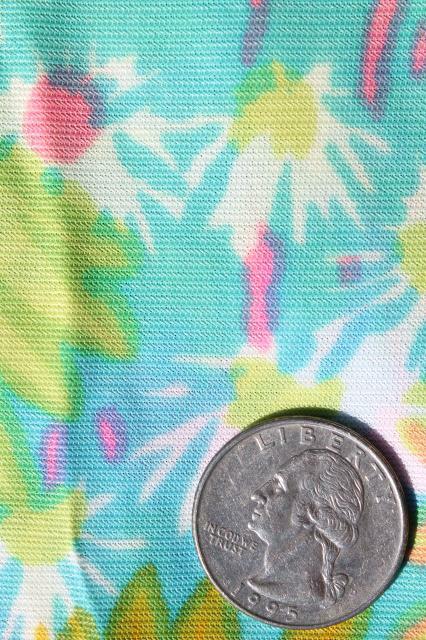 We saw a few small runs on this, which don't look impossible to work around. 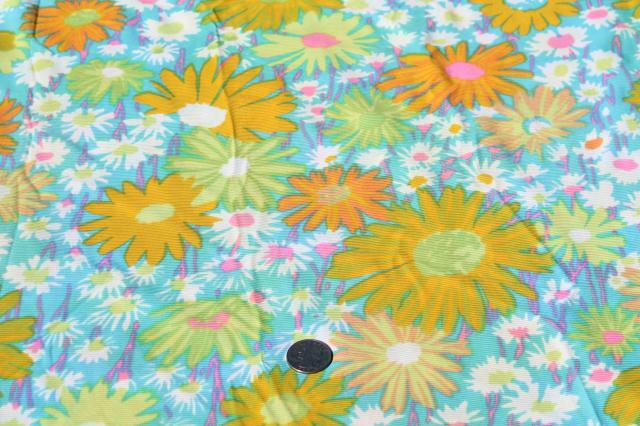 This would be lovely stuff for 'vintage' lingerie.